We have been fixing some issues according to the Google Search Console reports. However we have come accross an issue that we dont know where to look for fixing. As you can see in the image, google crawls pages with a url in the end that has never been created. 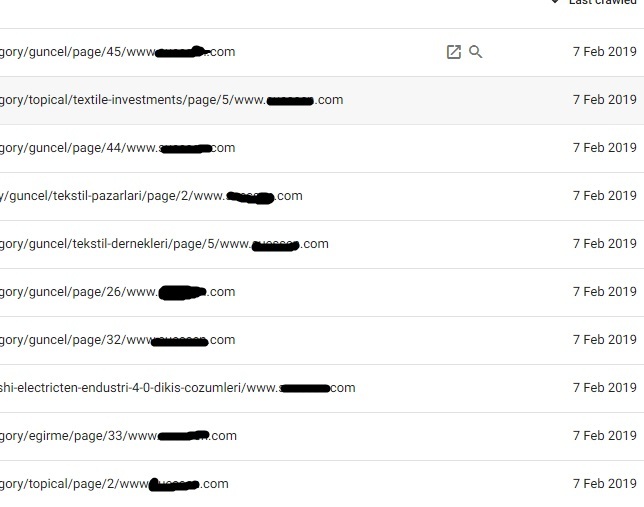 The url is not our domain but it is one of our client's we used to track their web banner with GA. We removed that banner very long time ago along with the google tracking code. If you guys have something in mind about the issue, please let me know.